Daniel Orr (pictured above) made it two Newcastle Poker Champs PLO titles in three years after defeating 2012 NPC VI Pineapple champion Aaron Bolton heads-up. On the final hand with blinds at 3000/6000, it was Bolton raising to 40,000, Orr shoved over the top all-in and Bolton called, turning over 8h-Ad-Ks-2c. Orr showed 9s-Jc-8d-8h and watched with joy as the board ran out 6h-2c-Qh-Jd-Qc, making him a title-winning two-pair. Orr won $500, while Bolton added another $250 to his NPC haul. 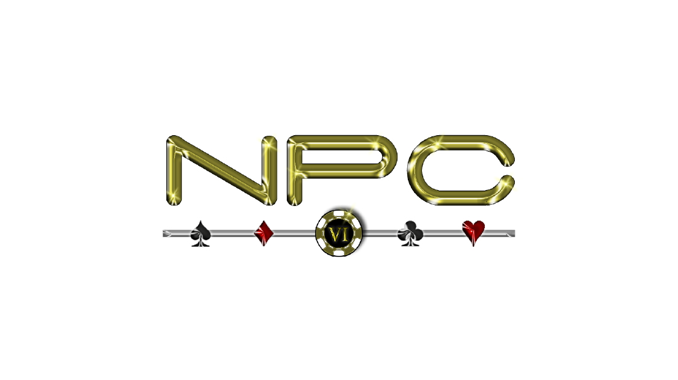 The prolific Tameeka Jones and Scott Kerr were the first two players eliminated from the final table after Nathan Gray’s Ac-2c-Jh-Kd held up against the Kc-Kd-5s-10d of Jones and Kerr’s 9s-Jc-4h-5h (board Ac-3s-4s-3d-5s). Cheryl Sabatino followed in fourth after shoving post-flop (Js-Ac-2c) with Jd-9d-8c-Kh. Daniel Orr called with 10d-10h-6c-9s, with the turn 10c and river Ad handing him the pot. Gray’s hopes of victory also ended at the hands of Orr when he filled his flush with 4c-Ac-3d-5h on a board of 4c-8s-6c-5c-9s against Gray’s K-6-J-9. 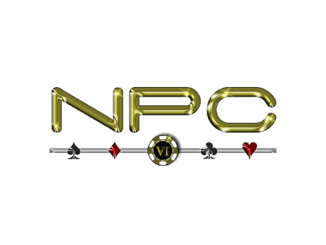 The steady stream of players heading to the rail has quickly slashed the NPC VI PLO field below 50 per cent of the starting line-up. David Maxwell was hoping to be there at the business end of the tournament only to watch his flopped set of kings run down by the Q-Q-J-8 of Jared Alderson, which landed a straight on the river. Next up, with blinds at 1000/2000, we watched John O’Donald and Stephen Kerr in an interesting hand. With the flop showing 3c-5d-4s, O’Donald bet the pot and Kerr called (after flipping a coin to help with his decision) all-in. Kerr showed 3-4-5-6 while O’Donald held Ac-Ad-9s-7s. The turn 6s and river 8s made a flush for O’Donald and eliminated Kerr. Gray clawed his way back into the tournament after calling the all-in of Alderson with K-K-J-4. Alderson showed J-J-2-2 but the raggy board of 6s-6d-4s-3h-5c played Gray’s kings. Last year’s champion locked his spot in the final eight after taking down another big pot, this time against Adam Wales, where he joined O’Donald, Tameeka Jones, Scott Kerr, Aaron Bolton, Daniel Orr, Cheryl Sabatino and Marcello Capone. The final table of six was then decided with the eliminations of O’Donald in eighth and Capone in seventh. The latest thread in the rich tapestry of events scheduled as part of Newcastle Poker Champs will be sewn tonight in the chase for the $22 Pot Limit Omaha title. A total of 54 players spread across nine tables have signed up for the event, including the winners from the past two years – Daniel Orr (2010) and Nathan Gray (2011). Gray was famously almost down to the felt in last year’s PLO tournament before clawing his way back to score a memorable win. In some of the early sparring, Orr teased Gray that the reason he won last year was that Orr didn’t contest the event. “Bring it on big man,” was Gray’s reply! Jamie Redding, who finished third in this event last year before sharing in this year’s Teams title, said he enjoyed the challenges of Omaha: “There are so many options in the game and there is always plenty of action,” he said. But sometimes, it’s simply the best hand pre-flop that wins, as Redding found out when Alan Gregory (A-A-3-5) sent him to the rail. Redding held K-K-8-4, and it was aces taking down kings.